"The real problem, in the end, is that after one day I’ve already run out of things to do with my home. There’s no gameplay associated with it, no reason to go there other than to see the sights, no practical benefit to it whatsoever...Times like this further my belief that I just don’t get player housing as a feature." That's the housing dilemma for MMO developers in a nutshell. Do you make your housing offer so intricate and complex that a subset of your players vanish into their instanced homes never to be seen again? Or do you make it so functional and bland that no-one wants to spend a moment longer there than they have to? 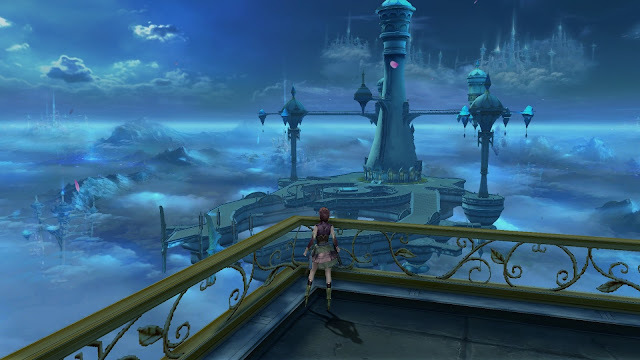 The former is the road EQ2, Rift and Wildstar took. GW2 and The Secret World went the other way. 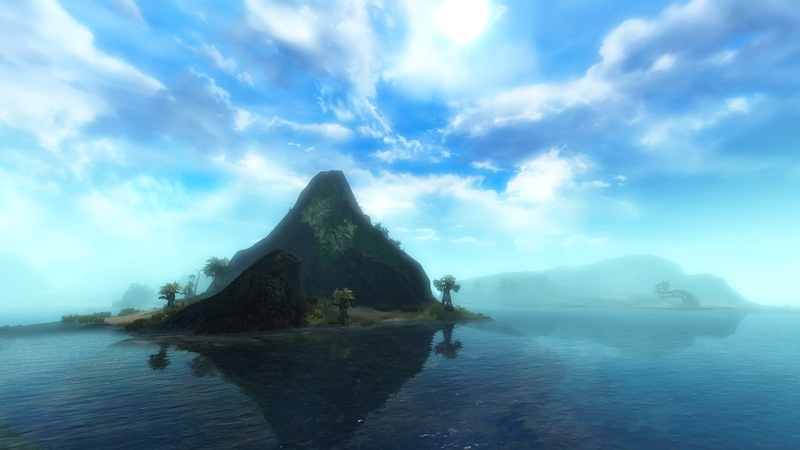 In between lie a myriad of dead ends and blind turnings, from LotRO's infamously inflexible hooks (recently modified to allow a modicum of creativity) to FFXIV's restrictive pricing and rationing. At the heart of the issue, though, is a gameplay decision: do you want your housing to affect gameplay or to be gameplay? Or do you want it to lie there, dead, doing neither, just so your game can add "Housing" as a bullet point on the FAQ? On these warm, desert nights I often choose to sleep al fresco. I'm not winding up to an answer to this question, which has presumably been hanging in the ether ever since Ultima Online opened its doors two decades ago. If I knew the answer to questions like that I'd be running a design consultancy not sitting in my dressing gown blogging about the imponderable ephemera of virtuality. No, the point I'm slowly creeping up on is this: you either "get" MMO housing or you don't. Developers can reel in players who don't get it by adding functionality - "practical benefit" as Tyler puts it. Depending on how it's done that can either be welcomed or resented. 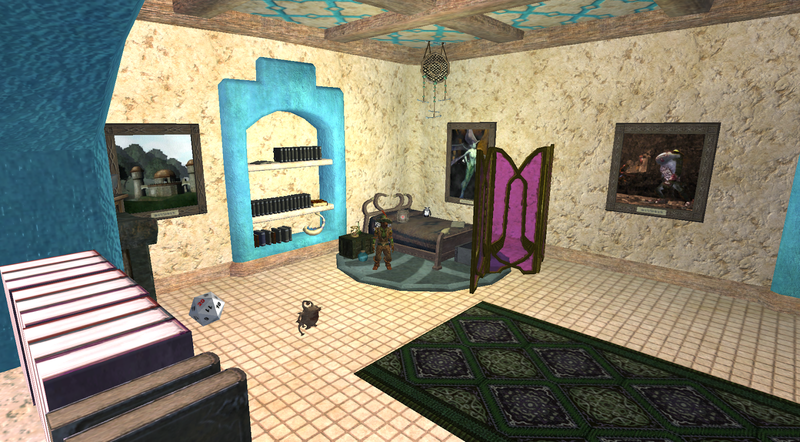 A home that allows players quick and easy access to services like crafting or banking that they'd need to travel to cities or NPCs to use anyway is generally popular. One that requires you to visit it just to acquire specific buffs you can't get anywhere else risks being seen as an annoying but unavoidable chore. There's also the "aspirational" aspect. By making Housing a restricted, even a prestige offer, it's possible to lure achievement-oriented players to jump through all kinds of hoops to acquire a home, even though they may never visit it again. Crafters are a natural fit for housing, of course, and a very welcome one in terms of efficiency for game designers, I'm sure. There are few, if any, balance implications inherent in adding a new recipe for tableware or soft furnishings. Allowing for the widest possible range of object placement and manipulation can effectively add a whole building offer to the game, something that appeals not only to crafters but also to a related but significantly different subset of players - decorators. Even the most recalcitrant adventurers can be coaxed into a grudging acceptance that there's something in it for them by the addition of desirable housing "drops", always provided there are enough non-adventurers waiting safe at home to pay through the nose for them at the Auction House. All this and much, much more can add up to a rich, complex seam of content that runs through an MMO from top to bottom. Players of every stripe and preference can come to find something of value in a well-designed and integrated MMO housing system. And yet it still doesn't mean all of them "get" MMO housing. In order to truly "get it" you need to be one of those players who thinks, every single time, when they reach the end of a session and the moment comes to log off and close the game, "Where is my character going to sleep tonight?" Are they safe? Are they comfortable? Are they going to be warm enough? What if it rains? All these and more are thoughts that flit through my mind, not just every time I log out for the night but even when I swap from one character to another. Many years ago, when I first began playing EverQuest, an MMO that had no player housing nor ever seemed likely to (which turned out not to be the case), I developed what has become a lifelong habit. If I had time I would gate or port or run my character to a safe city - Freeport or Qeynos or Thurgadin for example - where I would find an Inn or a bar or a pleasant public space. There I would settle the character down at a table or by the bar or in an upstairs bedroom. I could then leave him or her for the night or the week or the year, safe in the knowledge that however long it might take me to return my character would be secure and content. Another night on the tiles. EverQuest being the way it was, there were times when returning to a city simply wasn't practical. Even today it can easily take fifteen or twenty minutes to travel across Norrath from, to pick a common starting point, The Plane of Knowledge, to the place you want to begin adventuring. In the Good Old Days that fifteen minutes could be an hour or more, assuming you could even get back to where you had been the day before without a group to help you or a druid or wizard to port you. My characters back in the day needed to be ready to rough it, to set up camp in the wilderness or find a safe spot in a dungeon, whatever it took to be ready for the next time. Still, I had to be responsible for their well-being. I would take them to a guard tower or a farmhouse so they'd have a roof over their head at least. Almost twenty years on I can still remember the individual places I most often chose - the bridge-house over the river between North and South Karana, for example, or inside one of the windmills in Steamfont. Not much has changed. 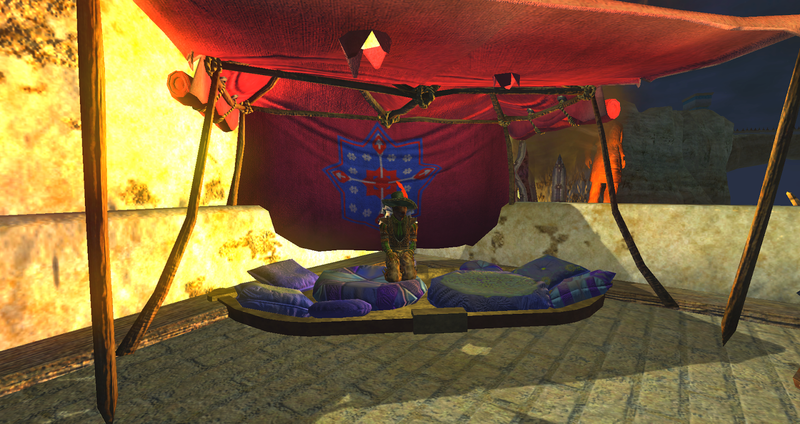 In GW2, every day, several times most days, I make sure my characters are going to be comfortable where I leave them. In snowy areas I always make sure they are next to a heat source, usually an open fire, not so near they might scorch their armor yet near enough to feel the warmth. I make sure they aren't left standing in full sunlight, lest they sunburn. Dappled shadow is my preference. In the jungles I camp them in Lionguard towers, under tents or awnings, or in the tribal huts of the Itzel. I take my characters race into consideration too. 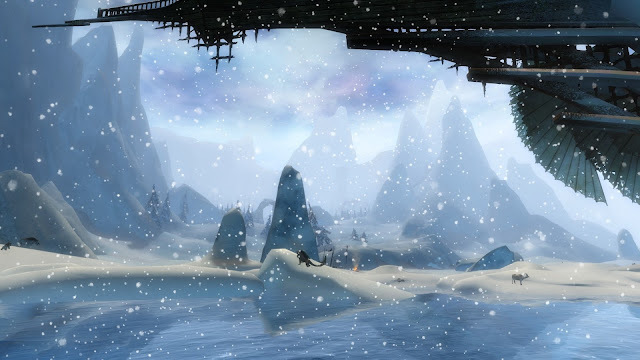 A hardy Norn or a fur-covered Charr can stand a little snow on their shoulders. A sylvari welcomes the rain. 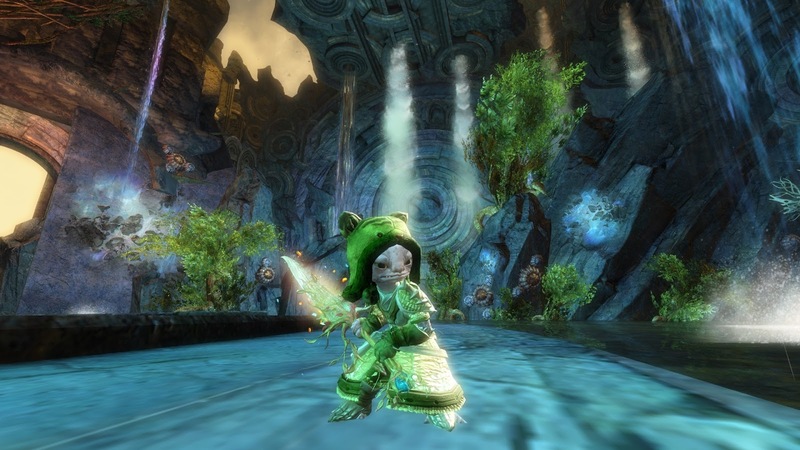 An Asura, though, needs a real roof over her head whenever possible. 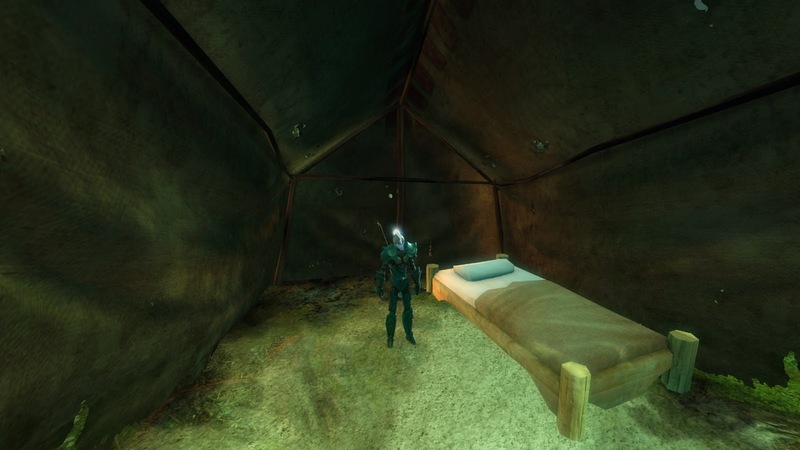 This is in an MMO that does have housing but GW2's Home Instances seem to me to be just about the worst of compromises. They feel nothing like a home. They have a clinical functionality that appeals to min-maxers and is most likely ignored by everyone else. There are signs, faltering and faint, that something more inclusive may be on the way but as yet that's mostly wishful thinking. For the time being I consider Krennak's Lodge in Wayfarer Foothills more my home than any Instance. 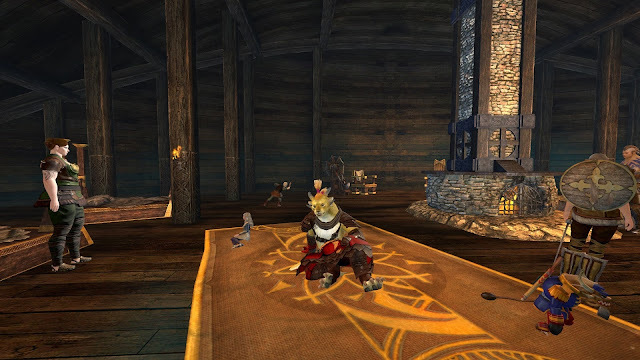 All of my characters have slept there on the rug next to the fire many, many times. It's safe and warm and welcoming, just like a real home should be. That's really all I want from MMO housing. A safe, cosy, welcoming place, where I can come back at the end of a long day's adventuring to sleep in a comfortable bed, surrounded by my books and trophies and my many, many pets. Everything else is just sugar on the top. When developers get that then they really do "get it". And so do we. 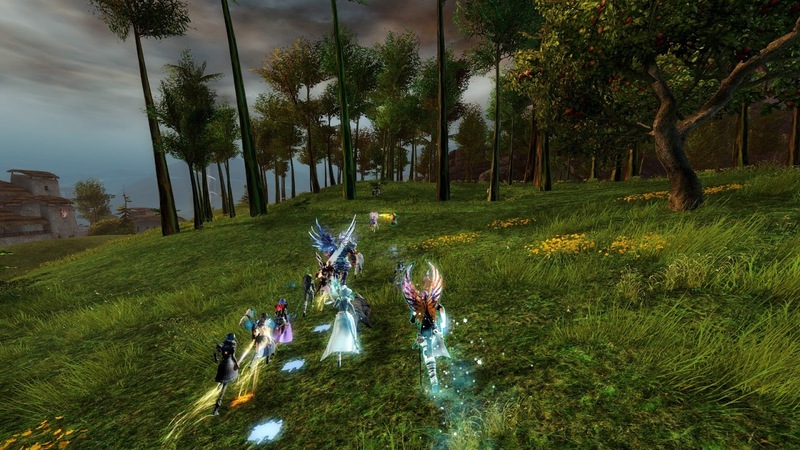 When it comes to publicity for GW2's PvE offer it's The Living Story or Raids that ArenaNet's P.R. department turn to every time. Dungeons are long forgotten and Fractals, popular though they are, haven't really got the same cachet with a wider gaming audience. For my money, though, the real core PvE content over the last nine months or so has been something so unheralded, so unpublicized, so secret even, that not only does it not merit a single puff piece from the publicity department, it doesn't even get much more than a single line in the patch notes. Sometimes, as in last week's big skill balance patch, it doesn't even get that. I'm talking about the ongoing sequence of "Current Events" that so far has included a lengthy series of skirmishes and full-scale battles with bandits, a whole slew of cross-map zerg events and a lot of odd little sidebars and scavenger hunts. As I look back at my progress through the winter and autumn to last summer, it's not the strung-out chapters of LS3 that remind themselves to me; it's taking sides in the tri-partite race to gather ley energy, or chasing a running figure from map to map alongside fifty other excited players, or jaunting across Tyria with my Rift Stabilizer in hand. Those are the experiences I'll be referring to in years to come, not the stuttering storyline with its ponderous gravitas, occasional chuckles and predictably irritating set pieces. Almost without exception the Current Events have been well conceived and well implemented. You don't always need to own Heart of Thorns to enjoy them, either, although sometimes they venture into maps that do require that access. By and large, though, they provide repeatable content that deepens and broadens the original game. Trahearne's Memorial. I give it a week before some Asuran progeny puts a traffic cone on his head. 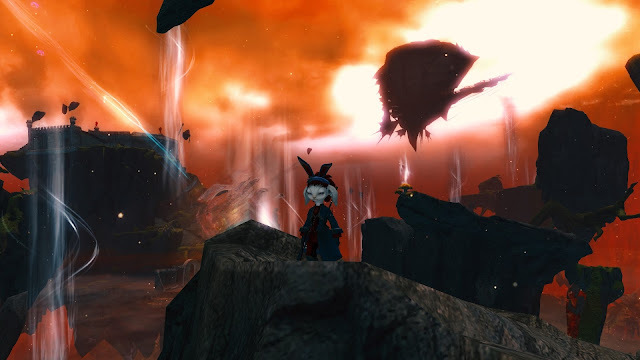 The current Current Event is one that does demand ownership of GW2's only expansion to date, which is not unreasonable given that it wraps up one of the trailing threads from HoT's main storyline. At the end of the Heart of Thorns personal story your character was left with a seemingly useless item, the broken sword Caladbolg, an unwieldy name for an unwieldy weapon. It had belonged to of one of the NPC characters, the ever-unpopular Trahearne, but with him gone no-one really knew what to do with it. Although you could equip it, as a Rare quality weapon, certainly no-one who could get it would ever want to. I threw mine in the bank along with all the other relics of past events that I like to mouse over once in a while. More practically-minded players salvaged theirs for crafting resources. Some, I'm sure, simply destroyed the useless thing to save space. 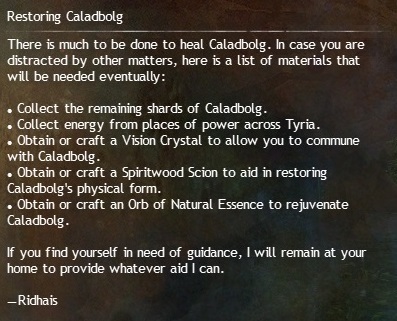 Well, now Caladbolg's time has come. With no foreshadowing or pre-amble and not even as much as a cryptic hint in the update notes, when you log in a character who finished the HoT personal story a letter arrives in the mail. That begins a lengthy and extremely enjoyable scavenger hunt, the details of which I won't document here because Dulfy has done it already. What would we do without her? I spent some of Friday evening and most of Saturday afternoon finding the necessary fifteen shards and motes. It involved porting back and forth all over Tyria as well as to and from my home instance, the Lab in Rata Sum on this occasion, since the only character who ever finished the storyline in Heart of Thorns was my Asuran Druid. The whole thing took longer than it might have done because that character had never even set foot in some of the maps he was asked to visit. When Ridhais, the Sylvari who purported to be able to repair (or "heal") the weapon opened a map for me to show me the nearest waypoint, as often as not all I saw was a blank wash of watercolored blur. That just made the whole thing more fun. All of the motes were in secluded, tranquil locations. Several of them were in hidden, secret spots, at least two of which I had never seen before even after four years and seventeen max level characters. I used Dulfy's guide so I knew exactly where to go and even if I hadn't, the aforementioned in-game hints included a pop-up map with the nearest waypoint highlighted. A true explorer archetype might turn up their nose at such a catered tour but for me it was perfect. If Bartle had thought to add a "Sightseer" archetype I'd probably score 100%. If this current event had limited itself only to a trip around this well-chosen selection of obscure visual delights it would already have been the highlight for me of this year's GW2 offering so far. The visit to the Nolan strawberry farm, of which I was, until yesterday, quite shamefully ignorant, was enough on its own to beat the entire last episode of Living Story for sheer satisfaction. You can never have too many shafts of sunlight. Or free strawberries. It's also well worth emphasizing that, although several of the stops on this trip around Tyria's most beautiful hidden treasures do also feature POI's or Hero Challenges flagged on the main map and required for map completion, several of the most impressive do not. The hidden cavern in The Grove, like Ayna's strawberry farm, have no reward other than the sheer thrill of discovering them. (Well, and the strawberries, of course). 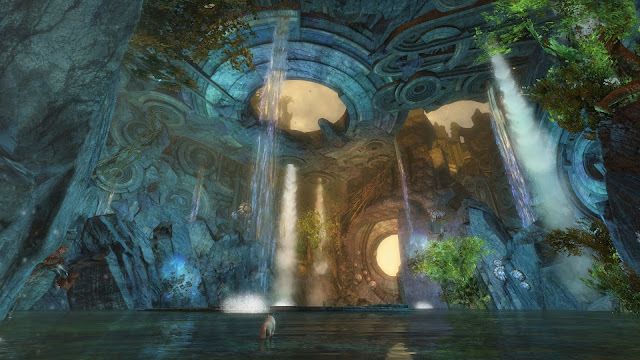 With its foregrounded emphasis on map completion GW2 has always taken criticism for offering "Exploring by Numbers" but that's an interpretation only an Achiever archetype could place on what has to be one of the most intricately detailed, deeply rewarding imaginary spaces available for virtual exploration. If you aren't finding uncharted wonders you just aren't looking. For the life of the game so far the best-kept secrets of ANet's formidable art team have been just that - secret. While this opens a few up to a wider audience it's merely a taster. There are so many more to discover if you take the time to find them. Sometimes I roleplay Calvin and Hobbes, sometimes I roleplay William Brown. Mostly, though, I can't maintain that level of complexity and ironic detachment. As I said, if this was all the Current Event had to offer it would have been plenty but there was more. A lot more. Once all the components had been collected there were not one but three boss fights to complete. When I read that on Dulfy my heart did sink a little. ANet's idea of a solo boss fight for a storyline is generally a twenty minute war of attrition that leaves casual players angry, frustrated and with a thumping headache. The rightly vilified final fight of the latest LS3 chapter is a sadly typical example. Whichever team is responsible for Current Events, however, shares absolutely none of the Living Story developers' penchant for grim, claustrophobic misery. Each of the five fights (it transpires you have to battle the first two bosses twice) was fast, fun and didn't outstay its welcome. Every one took place in a large, open space that allowed for full use of the Dodge mechanic. See what happens when you give me room to breathe? Best of all, there was no "clever" mechanic, transformation or trick required to win. All you have to do is play your character using the skills of the class in the intended manner, just as you would in any other part of the wider game. So very refreshing. If only whoever designed these encounters could be put in charge of all the solo instanced combat scenarios in the game, how much happier the broad mass of the playing public might be. So, we have a lengthy, entertaining event that culminates in several enjoyable and satisfying fights. Could it get better than that? Why, yes it could! If there's one thing that GW2 has taken consistent flak for over the years it's the inadequacy of the reward for the effort required. A few bags of crafting mats and, if you're really lucky, a Rare quality item that will go straight to salvage and that's your lot. Maybe, once in a while, if the RNG gods are in a really good mood, you might get an Exotic. Look at my sword, Dog. Look! This way! Don't eat that! Not this time. The reforged Cadalbolg, when you complete the full sequence, comes back to you as an Ascended weapon. Ascended is the top of the tree when it comes to loot in GW2 and few people have as much as they'd like. Getting anything Ascended as a reward is a guaranteed dopamine hit. Of course, you'd want it to be something you can use. How fortunate, then, that at the end of the final fight five NPCs appear to offer you a choice of weapons - Longsword, Scepter, Shield, Sword or Dagger. Even though the NPCs warn you to choose wisely, naturally, in the aftermath of such a heated battle there are going to be players who click on the wrong thing. That's not speculation - someone was wailing on the forums about having done exactly that within a matter of hours. Alright, I'm coming to get you. Well, the exemplary team behind it all had thought of that, just as they'd thought of all those players who would have destroyed the original, broken Caladbolg they'd need to get the whole thing started. Those players were able to get another Caladbolg from Miyani at The mystic Forge, while everyone who completes the event gets a letter the next day inviting them to meet with The Pale Tree. With that meeting out of the way, Ridhais takes up residence in the player's home instance, where he will swap your weapon for a different one as often as you like provided you come up with a thousand Unbound Magic each time to power the process. It's an elegant safety net for a problem that good design has in any case largely prevented from happening at all. the game, at least as far as anything in an MMO is ever permanent. It's also good enough in just about every way that I feel motivated for the first time ever to finish up the HoT storyline on other characters just so I can do it again. I could very much use those extra Ascended items and I would very much enjoy another afternoon going through the steps it takes to get them. I have no idea how many developers and designers it requires to create and curate this Current Event content but whoever they are they put the rest of the game to shame. How I'd love to play the version of GW2 these people would make if they were in charge of the whole thing. For now I'll just keep scanning the patch notes each time, hoping for the one line that hints of something unusual. That's where all the fun is going to be. Wilhelm is going through something of a slump when it comes to fantasy MMORPGs. It's something that seems to come to most long-time players of these games eventually although in his case it's taken a couple of decades to get there. That's been the narrative for many of the bloggers and commenters in this corner of the blogosphere for a few years now. It's not really surprising. MMOs are very samey. If we're talking about the kind of 3D virtual worlds that span out of the diku-MUD scene neither the mechanics nor the gameplay differ greatly to begin with and when you skin those over with the traditional goblins, orcs, dragons and wargs then it really can all seem to run together. I don't think I'd go so far as to call it " a gray, uninteresting mass", though, because, if nothing else, most of these virtual worlds are at least colorful and a few of them aspire to some level of idiosyncracy. Black Desert, for example, may not have held my attention long term but it certainly did hold my gaze. As I was suggesting last time, though, it's not ideal to have to keep hopping from game to game just to keep the interest levels from flagging. 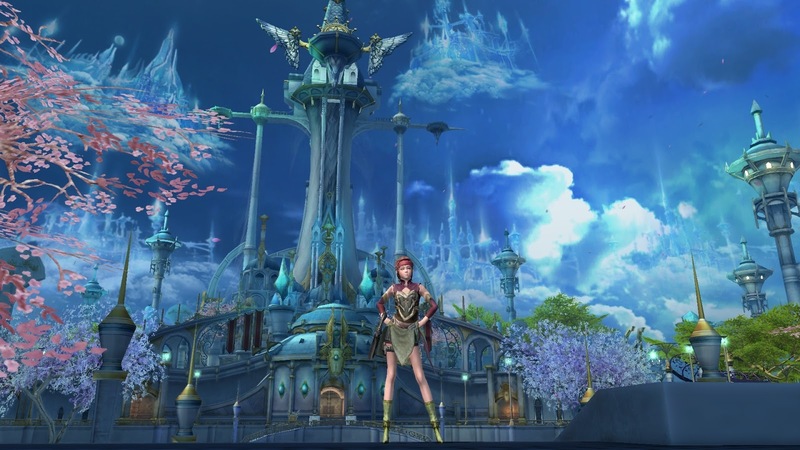 The other part of MMOs that Wilhelm, like many, is finding problematic is staying in touch. These level boosts and bonus xp schemes are all very well but catching up to to where the end game has gone and having the necessary knowledge and equipment to prosper there are two entirely different things. Playing multiple MMOs is a bit like the specialty act that used to appear on those variety shows that were a staple of television when I was growing up - the "Chinese Juggler". That was someone who spent ten minutes running between half a dozen poles, each with a dinner plate balanced on top, keeping them all spinning. It does seem to be an awful lot of effort just to get nowhere very much. These days I can manage maybe three MMOs at a time. I tend to have one main MMO, one alt and one that I'm trying out. I played all three of those today - GW2, EQ2 and Aion. Plus another for luck. In GW2 I just logged in, did my dailies, ran around in WvW for half an hour and then logged out. I spent a lot longer in EQ2, going through every new piece of armor and jewellery on my Berserker to see what slots were empty (most of them) before making adornments to fill them all. I also found out that if you complete thirty quests in the overland expansion zone it gives an achievement and the achievement awards a Best In Slot offhand item. I checked and I've done twenty-eight so there was some research to find two more. I could only find one. I did that. I think I'll have to do at least one of the timed key quests to get the final credit I need. I really, really hate timed quests and these are quite tough ones so I put that on the To Do list and left it for now. As well as the crafting and the questing I did a couple of PQs. Then I spent a while trying to find out which vendor takes the currency you get from those. All in all I spent nearly three hours in Norrath doing the kind of "keeping up with the Joneses" kind of background activity almost all MMOs require if you want to keep your footing on the treadmill. Speaking of treadmills, I also logged into DCUO for the first time in months to get the freebies from the Flash event. Last day today. Then I went to my base and set them all up in a little Flash-themed corner of the basement. One of them is literally a treadmill! Doesn't work, sadly. Before I could do that, though, I had to google how to place furniture. These skills just slip away if you don't practice them regularly. The reason I stopped playing DCUO, by the way, has nothing to do with losing interest. I've been waiting for the long-promised complete revamp of how the stats, powers and leveling game work. I believe that it's finally on the Test server now. When it finally goes Live I'll play DCUO again. Probably. If I'm not playing something else. 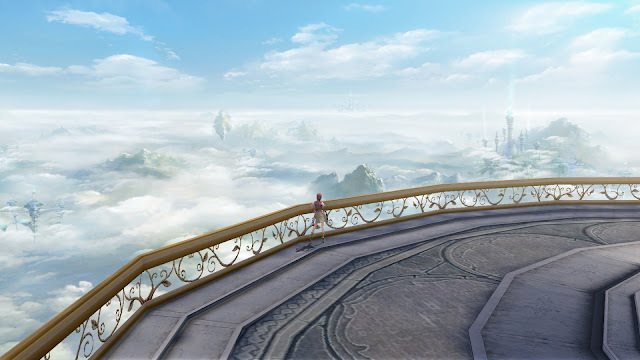 The something else that I am playing at the moment, thanks to suggestions in the comments to an earlier post, is Aion. 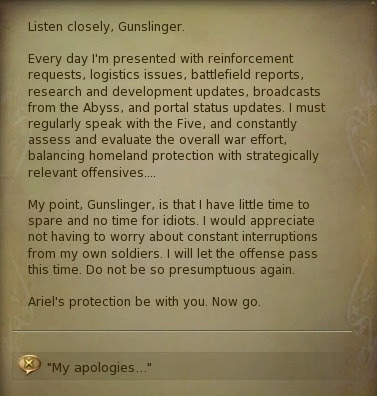 Aion really does tick all the boxes for the kind of problems Wilhelm's having. There is literally nothing going on there that I haven't seen done before, usually better. Also I ran all over the city taking screenshots, peering out across the clouds, riding on flying platforms and generally gawking like a tourist, which is exactly what I am. And my character, come to think of it, so you can call it roleplaying if you like. Aion is one of the games that looks better in screenshots than it does when you play it but it doesn't look at all bad in game either. A bit flat in places and everything suffers from gigantism but there are some nice views to be had, here and there. The music is very familiar. Lots of would-be ethereal chanting and synthesized strings. 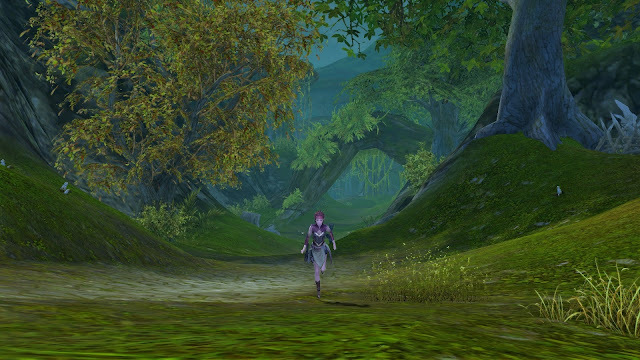 I think I may have picked the Elven starting area by mistake - if Aion has elves - or different starting areas. The rest of the sound, however, is awful. Some of the worst I've ever heard. The blooping and bleeping of the UI sounds like something from the 1980s but the yelping and shrieking of the mobs and especially of my own character is the real problem. I'm used to imported MMOs having a lot of very high-pitched squealing but this is much worse than that. I might have to mute the sound effects which is something I never do. At least the translations are completely competent and professional. Almost everyone has something to say, not always very complimentary either. I rode the lift all the way to the Governor's office, walked up to him as you do and introduced myself. He was not happy to see me. I did laugh. 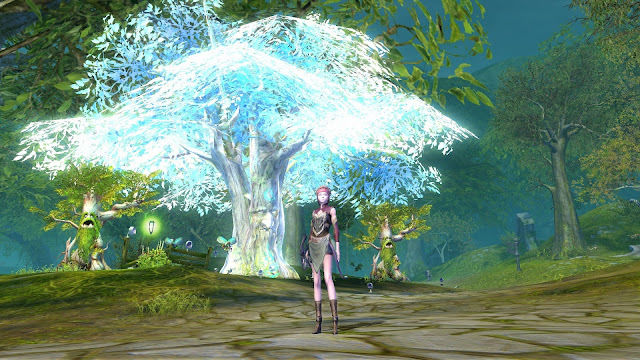 As promised, Aion is quite old school. Mobs drop gear you want to use. You can farm them for it without even needing a quest. There are named mobs that spawn among them somewhat randomly and they drop stuff too. That was fun. While I was in the city someone called out to me to tell me I could get a free studio. I thought it was a player at first but it turned out to be an NPC. 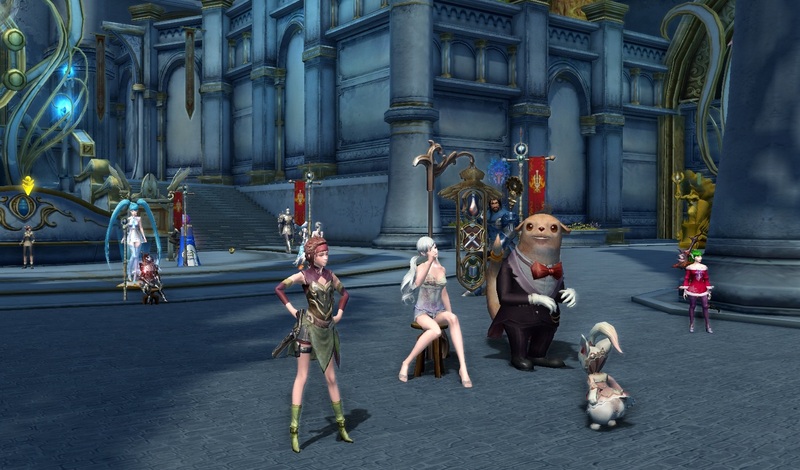 I didn't realize Aion had housing. Haven't found where to go to get my pied à terre yet but I will! So there we are. Not bored with MMOs yet. Not bored with fantasy MMOs either. Still doing the same thing and getting the same results and waking up next day ready to do it again. There's probably a roadblock labelled "diminishing returns" somewhere in my future but I haven't got to it yet. Let's just hope that by the time I do there's a side road I can take to somewhere unexpected. Telwyn, inspired by Chestnut, posted about starting over in MMOs, saying "I’m an altaholic but usually stick to one server in a given MMO". That made me think about just how much my own habits have changed over the years. Not, I suspect, always for the better, either. When I started out in EverQuest one of the very first things I had to learn was what a server was and why I should care. Before the game would allow itself to be played it wanted me to pick a name from a very bizarre list. There was a smattering of semi-coherent options - The Rathe, The Nameless - but even those seemed alienating. What was a "Rathe" anyway and why couldn't anyone come up with a name for "The Nameless"? In the end I went for one I thought I might be able to remember - Prexus. Another "X" now I come to think about it. It soon transpired that I might as well just have flipped a coin because I didn't last very long at all on Prexus. I tried Brell Serillis and Test before two new servers, Luclin and Lanys T'Vyl, popped up on the same day as SOE attempted to accommodate EQ's ever-increasing population, something that would be repeated many more times over the next four or five years until the arrival of WoW shattered the paradigm, along with Smed's hopes and dreams of never-ending fortune and fame. Or not. During that now almost unimaginable period of continual expansion I developed the habit of making new characters on every fresh server as it opened. On their opening days and mostly for a few weeks more I played on The Seventh Hammer, Antonius Bayle, Stromm, Maelin Starpyre, Tholuxe Paells, Mordern Rasp, Morrell Thule, Sullon Zek and probably a few more I've forgotten. All of which meant that I took "starting over" as the norm for MMOs. How was I to know that it wasn't meant to be that way? Let's not forget that those were also the days when "twinking" was almost as dirty as it sounds, when people genuinely agonized over whether passing a Shiny Brass Shield from an old character to a new one meant they'd lost their moral compass. When Mrs Bhagpuss and I moved, fairly briefly, to Dark Age of Camelot, an MMO with a tri-partite structure that forbade anyone to play characters of different Realms on the same server, what was the first thing we did? Made characters on three different servers so we could play them all, of course. 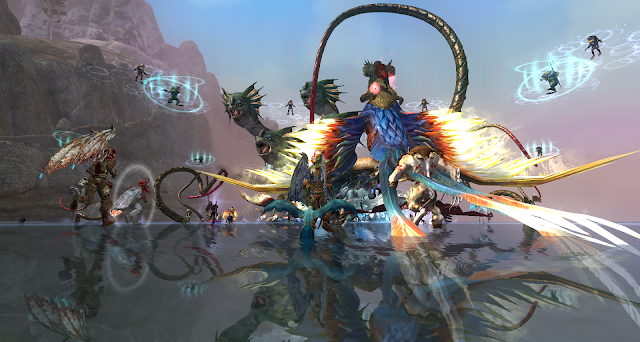 As the years rolled by and with them more and more MMOs, the pattern repeated itself over and over again. If a game chose to segment itself by race or alignment or region then I'd do my utmost to make sure I rolled and re-rolled until I'd seen it all. Well, all the starting areas, at least. For the most part that meant more than just playing through the same levels a few more times with a different backdrop. It meant starting completely from scratch, without hand-me-downs or pre-acquired skills or a bank account groaning with gold. The one thing that could always be ported was knowledge. Even with the best role-playing intentions it's hardly feasible to unlearn your understanding of how the UI works or where one zone lies in relation to another. Even so, in those days before Free to Play gave us all more worlds to play with than we could ever find time to explore, Starting Over allowed anyone to experience something of that New Game rush at will and at no extra cost. Trends changed. Convenience took over. Exclusivity began to be seen as an impediment instead of a selling point. 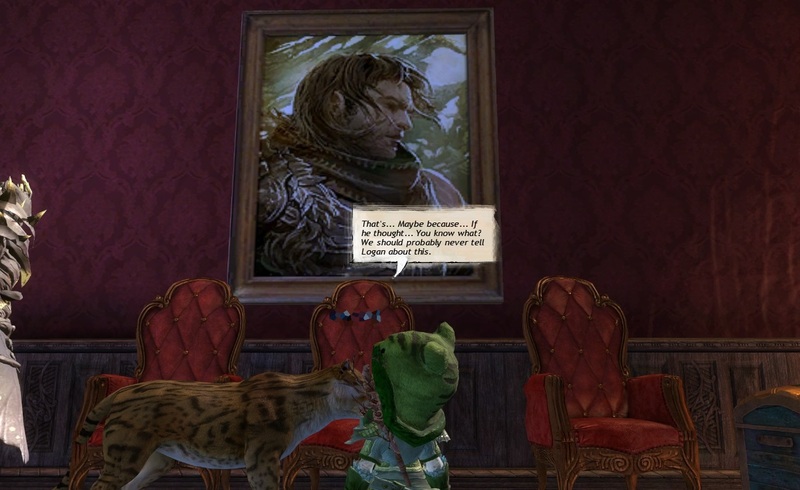 While many MMOs continued to pay lip services to RPG tropes like alignment and race it became commercially expedient to separate lore from practice. Good guys and bad guys joined the same guilds, battled the same enemies, used the same banks. Player characters from races who'd been at war for millennia cheerfully traded magic items with each other while characters owned by the same account used shared facilities that meant they could help each other out even though, since they could never be online at the same time, they could never meet. By the time we got to Guild Wars 2 the unit of participation had become The Account. Well, mostly. At the beginning there was still an inelegant melange of Character and Account Based play, something that persists to some degree even today in aspects such as Map Completion or Personal Story. For the most part, though, every character is part of a team, whether they choose to be or not. All the myriad currencies go into a single wallet no matter who earned them and the achievements of one are the achievements of all. There are no servers, or "Worlds", any more, other than for the competitive game mode of World vs World, which is in terminal decline, most likely to be replaced one day by a less archaic format. As far as PvE is concerned, we're all one big, happy family. Megaserver technology sees to that, as it or something much like it does in most MMOs these days. Incremental change is insidious. The world alters around us and we barely notice. As I think about it now, though, I would hesitate to say it's all been change for the better. Like Telwyn, if I step off the treadmill and begin afresh I find myself missing all the benefits that having established, integrated teams of characters brings. It makes it a lot harder to stick at it, when I begin in a new game or even on a new character. That feeling almost everyone must have, when they can't keep from noticing how much time they're spending doing things their other characters, whether in the same game or another, could do so much faster and more easily, it wears at my resolve. And yet, when I start over, almost every time, I feel light, released, free. Everything that was old is new again. Life is simple on the up. All those dopamine hits the MMO leveling process was designed to provide come raining down just like they used to and it feels good. That's the way I once played most of the time. 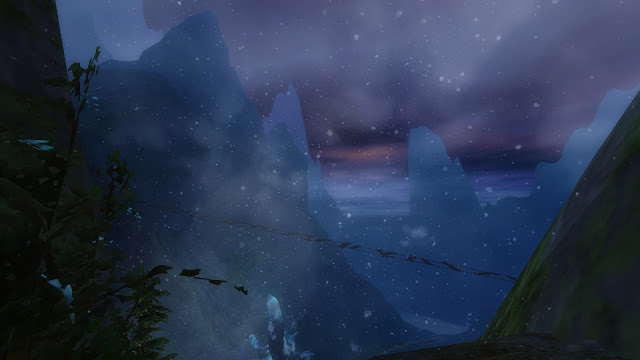 Even when I had two level 60s, then two level 65s, when 60 then 65 was the cap, when my friends list bristled with names willing to go dungeoning at the drop of a tell, I spent time playing on other servers, among strangers, unknown and at the bottom of the curve. I really don't do enough of that any more. Every time I do, mostly in unfamiliar games I'm trying on for size or on special purpose servers in MMOs I know, I find myself drawn in, pulled under, breaking the surface tension of the best-in-slot, meta, fractional upgrade path, sinking into the deep comfort that we call immersion. You can forget what these games are for, sometimes. You float so long at the top of the tide you misremember all that lies beneath, the vast undertow, the waters that are never still. There's a lot more to MMOs than hitting cap and settling for the end game. I used to know that but I forgot, somehow. It's never too late to start over. Let's go round again. For many years one of the things I found most confusing about the MMO scene and the people who follow it was the way individual game developers would sometimes be talked and written about as though they were rock stars. It seemed to me as peculiar as if the owner of a refrigerator were to praise the vision and skill of the factory worker who put the parts together. It seems odd, my attitude, in retrospect. Not only did I come to MMO "fandom" fresh from a couple of decades reading comics, during which time I attended conventions, presented panels, interviewed artists and writers and wrote extensively for fanzines, but also I played video games throughout the 1980s. Those were the days when the typical media representation of a video game creator was either a precocious social outcast coding his way (and it was always a "he") to a million from his teenage bedroom or an eccentric, bearded quasi-hippy expressing the kind of offbeat individuality more usually found in second division provincial prog rock. The twin ideas, then, that a collective, commercial enterprise could be driven by the vision of individuals and that video games were a form of personal, creative expression, should have been well established in my worldview. Nevertheless, by the time I came to understand that MMOs weren't simply the inevitable byproduct of technological progress but something made by humans, those logical links seemed to have fractured. It used to annoy me quite a lot when, on forums I frequented, people would refer to developers, designers or producers by name, according them the kind of stature, respect or admiration that a music fan might routinely give to a favorite songwriter or instrumentalist. It seemed deeply inappropriate, uncomfortable, embarrassing. To be frank, I thought it was gauche. Over time, as I became embedded more and more deeply in the MMO milieu, some of the discomfort faded. I became familiar first with the names and later with their achievements. I began to develop some knowledge and even understanding of the history of the medium and the form and with this context the constant name-checking began to feel less like bizarre affectation and more like technical jargon. Although I adopted, almost by osmosis, the coloration of the environment within which I now moved I still struggled badly with the overwrought emotional intensity that sometimes came with that territory. I was comfortable with reference but not with deference. I recognized that the games were made and that named individuals made them but still it seemed to me that this was a technical rather than an artistic achievement and should be addressed accordingly. This persisted for a long, long time. It can't be that many years ago, certainly in the life of this blog, when I first came across "Developer Appreciation Week" and felt my hackles rise. Why I might have reacted that way, only five or six years ago, somewhat mystifies me now. Over the intervening years I have, at last and not before time, come to share most of the opinions and attitudes towards the people who make these games and this hobby possible expressed so well by Rowan in his opening paragraph here. While I, too, may criticize as much, or more, than I praise, even that criticism comes, these days, with full recognition and understanding that everything we see, hear and do in our MMOs derives directly from the imagination, effort and endeavor of named individuals. All of which is a very long preamble to contextualize my reaction to a trio of apparently unrelated news items from the past week. First there was the announcement that John "Smed" Smedley, last seen going down with the good ship "Hero's Song" as captain of the doomed PixelMage Games, had bobbed up, not clinging to the wreckage but safe on board a much larger vessel, indeed back in the Captain's chair, at Amazon Games. Second came the departure of Daniel Dociu, GW2's art director and the man who "has been defining the art direction for ArenaNet since 2003". Shamefully, until I read the news that he was leaving, I could not have named the man whose influence and oversight led to what I have frequently referred to as the jewel in ArenaNet's crown, its ineffably confident, secure and professional visual style. Thirdly, freighted with the most emotional heft by far, came the news that Emily "Domino" Taylor is leaving Daybreak Games. Domino is not only my personal pick for the most consistently reliable MMO developer with whose work I am directly familiar but also the one who is most clearly emblematic of what I believe a developer should be. Her work is not just sprightly, lively and fun but also logical, coherent and constructive. In two lengthy stints, first with SOE and then with DBG, she both created a wealth of excellent content herself and inspired an extended period in which development around her appeared to take a healthy, positive direction. Also she once posted a comment on this blog, which, apart from being pleasing for my ego, demonstrates a degree of involvement with the wider hobby that exemplifies why my own attitudes towards the people who make it all possible have changed so much over time. We really are all in this together. What these three personnel changes mean for the industry as a whole and the MMOs I play in particular is not yet clear. That. naturally, won't deter me from speculating. As far as impact on existing games goes, probably the move that will impact players the least is Daniel Dociu's departure. The look and feel of GW2 is by now surely too established to change significantly. What's more, Daniel is succeeded in post by his son, Horia, who has himself been working on the same team for as long as his father. I would expect business as usual to be the watchword there. Domino has left Norrath before. Based on previous evidence I wouldn't expect to see any radical change of direction in EQ2 either. Last time crafting, Domino's prime, although not sole, area of influence, carried on by and large along the same heading. You don't just slot in another visionary of Domino's class, though, and while it was steady sailing without her last time the difference when she returned was immediate and marked. She will be missed but how much depends on who replaces her and what resources they are given to empower their own vision. Smed, of course, doesn't leave a game behind him from which he could be missed. Hero's Song crashed and burned. The MassivelyOP thread following the announcement is filled with conspiracy theories pondering the timing and the provenance of that simple, uncomfortable fact. Not to mention how very closely the staff of Smedley's new San Diego operation reassembles that of Pixel Games. Oh well, at least everyone got their money back. Somehow. Looking to the future, the prospects for us as players and the three developers (if we can call Smed that) seem more vague. There seems to be no information available yet about where Daniel Dociu might go or what he might do. All that's said is that he's leaving ArenaNet. He's 59. He might be taking early retirement. He might be ill. He might be changing career paths. Dociu certainly has no shortage of options. To quote his own biographical details, "Daniel is a prolific freelance artist, contributing to numerous publications, advertising, film and world wide educational and public speaking engagements. With his skill and talent any MMO would be lucky to nab him but I'll be quite surprised if any does. Even Amazon. Domino already has a new job. She's just not ready to tell us what it is. Unless she's remote-working it won't be Amazon for her, either: "it feels like time to return home to Canada, and remember what shoveling snow is like" she commented with typical whimsy. With her management background it could easily be any kind of supervisory position but her heart always seems to be set in gaming so it would be a surprise to see her re-appear in an unrelated industry. Does Canada have any MMO developers though? All of which just leaves Smed, who one Massively commenter memorably described as a cross between a cat and a cockroach because he always falls on his feet and would probably survive a nuclear war. I savored that comment because otherwise it's disturbing the way the tone of the comments on Massively have veered of late towards some kind of rehabilitation for Smedley. The previous knee-jerk reaction that could be relied on to paint the industry veteran as some kind of mustachio-twirling villain from a Victorian melodrama is being replaced by an equally un-nuanced picture of Smed as The Old Lion brought down by hyenas. To me he seems more and more like a management executive who, whether by inclination or imperative, has donned the clothes of a creative. He reminds me a little of the great Rock Managers of yore - Peter Grant or Colonel Tom Parker or, perhaps most tellingly of all, Malcolm McLaren. What games Amazon want or expect him to make we have no idea. It would seem odd if it was anything entirely different from the games he's famous for but whether it will be something old-time MMO players will want to acknowledge or own as an MMO I wouldn't be so sure. Early talk of "an ambitious new project that taps into the power of the AWS Cloud and Twitch to connect players around the globe in a thrilling new game world" suggest something most people reading this probably will only download out of curiosity. Whatever the future holds for these three significant players in the field I wish them all well. Even Smed, although where he's concerned I mostly hope Amazon keep him the hell away from any MMO I'm trying to play. Oh well, I guess if anyone has the infrastructure to shrug off a DDOS attack it would be Amazon. Video games in general and MMOs in particular are strange. Here we are, talking about these people and the impact their job changes may have on our entertainment and yet the youngest of the three, Domino, must be in her early 40s, while Smed is in his late 40s and Daniel Dociu almost 60. The average age of the people who make our MMOs seems out of kilter with what I see in other media I consume, where the drive and innovation comes mostly from people twenty or thirty years younger. If there's to be a real step-change in MMOs I'm not sure it can ever come from giant corporations like Amazon or industry veterans like Smed. While I'll watch what they do with interest it won't be with any great expectation. When change comes it will be sudden and from a direction no-one's looking. Or we can hope so, at least. 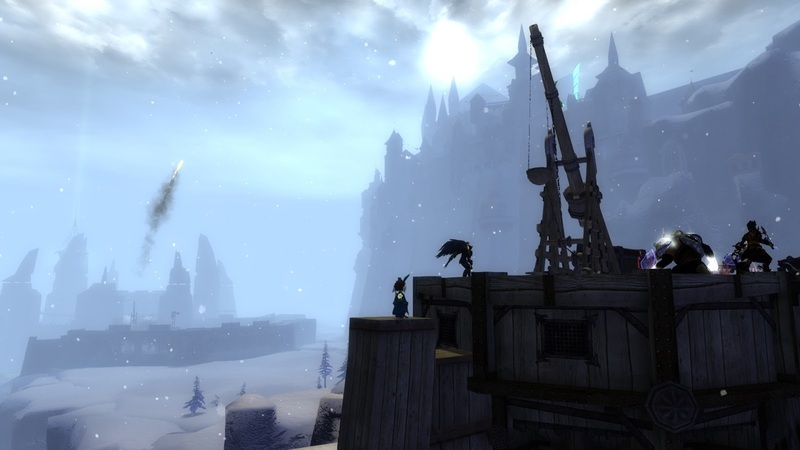 "Guild Wars 2, an egalitarian enjoyable game, bent over to cater to the strident demands of the "we need raids and like the exclusivity it brings because then I can feel better than others" subset and ripped apart the community in the process." It's true. It's also utterly confounding. 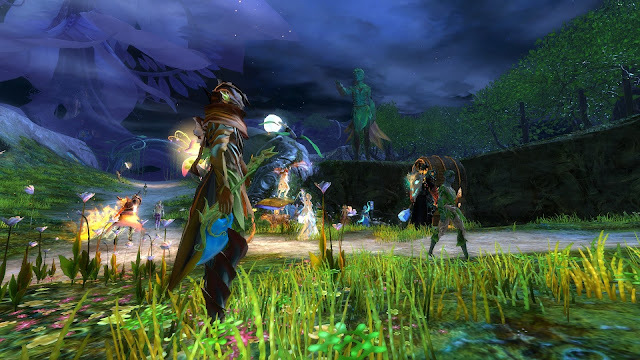 Over the lifespan of GW2 other MMOs, almost across the board, have progressively withdrawn from exclusivity in favor of a variety of mechanisms designed and intended to open up previously elite content to the widest possible audience. WoW introduced "Looking For Raid" to facilitate pick-up raiding. 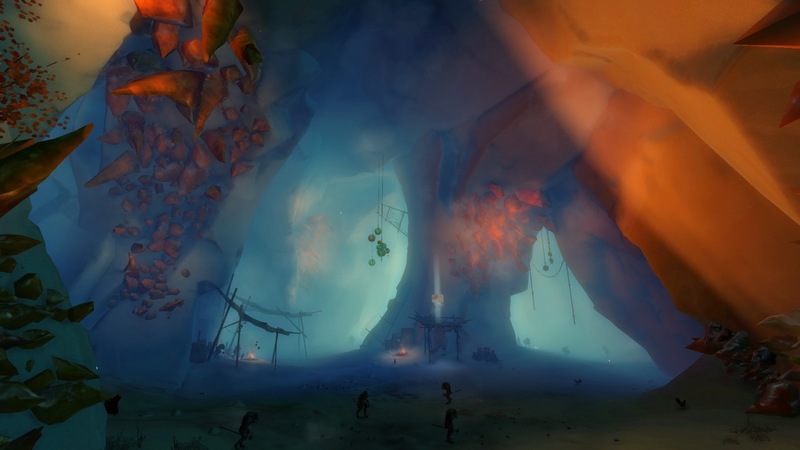 Rift created Intrepid Adventures "to give all players a chance to experience some of the lore of the high level raids". LotRO redesigned Fellowship Quests so that they could be soloed rather than requiring a full group. There are many similar examples of MMO developers re-tuning their games to reflect reality: players are less social than they were, they don't play as often or for as long as they did and they have a lot less patience for anything that they don't find fun. As Jeromai points out "Wildstar should have been an object lesson in catering to only one small subgroup and expecting the bills to be paid." 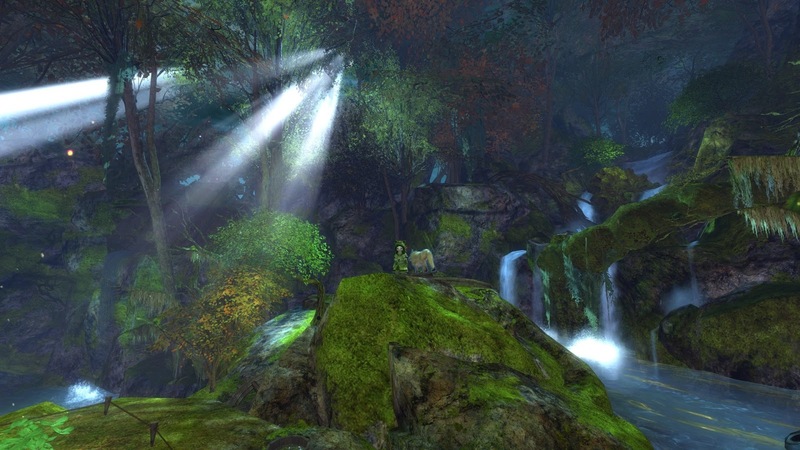 Of the MMOs I play the one that has benefited the most from this change of attitude is EQ2. It's a game that has always had a storyline but for many years it was a narrative largely recounted in raid instances. At some point when I wasn't paying close attention this began to change. 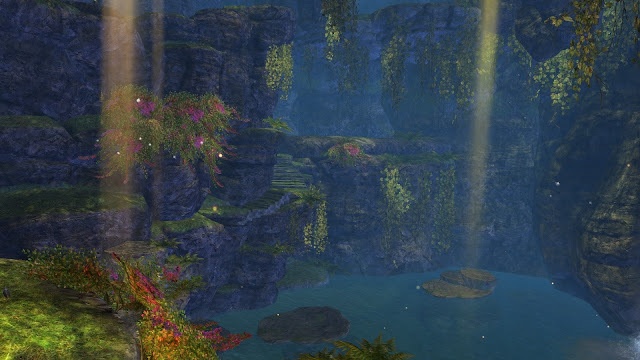 When I returned after a break and played through the 2012 and 2013 expansions Chains of Eternity and Tears of Veeshan I was surprised to find the entire storyline laid out for me, not just in the open world zones but in specially-created Solo and Advanced Solo instances that mirrored those for groups and even raids. By the time we got to last years Kunark Ascending the sales pitch made that realignment abundantly clear: "All new dungeons for Solo, Heroic, and Raid parties alike". Note that equivalence. It's important. The move towards inclusivity extends to open world content as well as instancing. ESO recently flattened the level barrier with the "One Tamriel" initiative and EQ2 has long had the option to recalibrate your character's level to match the zone. Then there are the open world, raid-like events that bypass traditional raid requirements. Generally considered to have originated in Warhammer Online's "Public Quests" before being refined and formulated by Rift with its "rifts" and "invasions", this kind of all-pile-on, zerg-friendly content perhaps reached its apotheosis of public acceptance in last year's pre-event for WoW's "Legion" expansion. 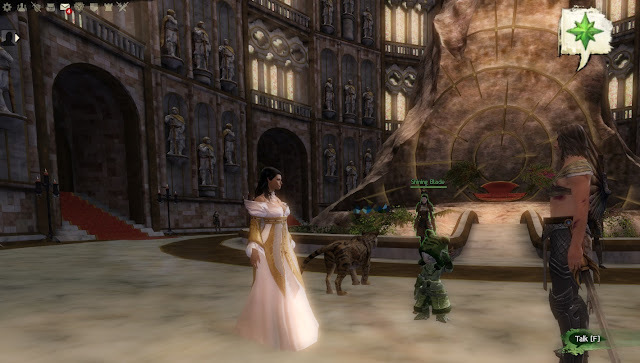 GW2 was an early adopter and something of a market leader for this kind of thing. 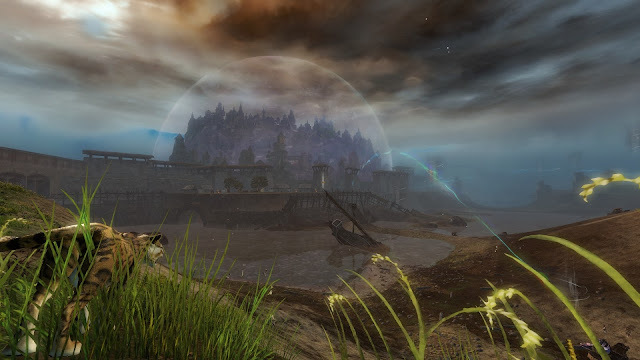 The game has auto-leveling maps and well before launch ANet made a huge play of the "Dynamic Events" system. However original, let alone mold-breaking that may have been in 2012, nearly five years later it appears little different from the industry standard. Rift certainly did much of what GW2 does back when GW2 wasn't even in beta and EQ2 has been dabbling with this kind of open-access, inclusive, large scale content since 2011's Destiny of Velious expansion, albeit with mixed success. The current iteration that came with Kunark Ascending, however, is proving extremely popular. Four months after the expansion arrived, every day at the time I play, which isn't even during North American prime, there's a good chance there will be multiple instances running for Obolous Frontier, Jarsath Wastes and Fens of Nathsar. General chat pings constantly with calls for OF2 or JW3 and ad hoc pick-up raids form, although there's no requirement to be in a raid to participate. It's all remarkably good-humored. Other than the occasional request that someone drops a mercenary to make space for another player I have seen absolutely no histrionics, arguing, complaining or elitist jerkism. 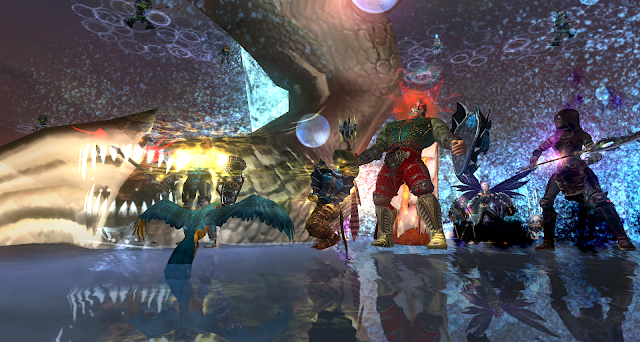 The events are fun although the aging EQ2 engine does make it hard to tell what's going on at times. They are popular primarily, though, not so much for the gameplay as because they are immediately accessible to anyone of the appropriate level and they offer a good chance of desirable rewards. In this respect Blizzard and Daybreak, like Trion before them, seem to understand something that ANet have never acknowledged, namely that giving people what they want will get them to log in and play. In GW2 the expectation is always that you won't get anything you want from doing an event; in other MMOs you know it's not guaranteed but you feel you're in with a fighting chance. 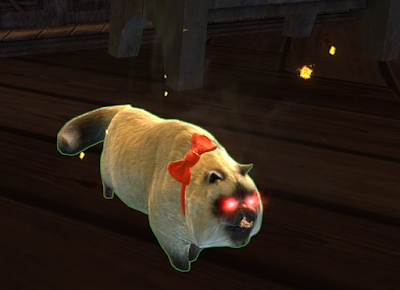 Contrary to popular belief, GW2 mobs do have desirable drops. Every mob has an infinitesimal chance to drop a variety of "good" items, while "named" mobs such as World Bosses have specific items on their loot tables. The problem isn't what they can drop. It's what they do drop. GW2 has always been exceptionally ungenerous in its in-game rewards. Even though the frequency has been tweaked upwards over the years it remains far and away the most miserly of any major MMO I have played. This ethos of scarcity (or should we call it meanness?) doesn't extend only to drops from mobs. It even includes holiday events. 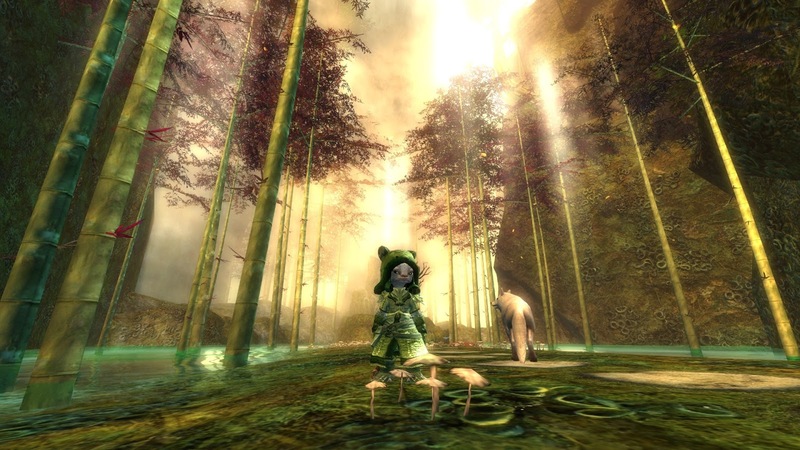 Compare the recent Lunar New Year event in GW2, in which about the only interesting item (and that's stretching a point) was to be found as a very rare drop from Lucky Envelopes, with the holiday running in EQ2 right now, Erollisi Day. 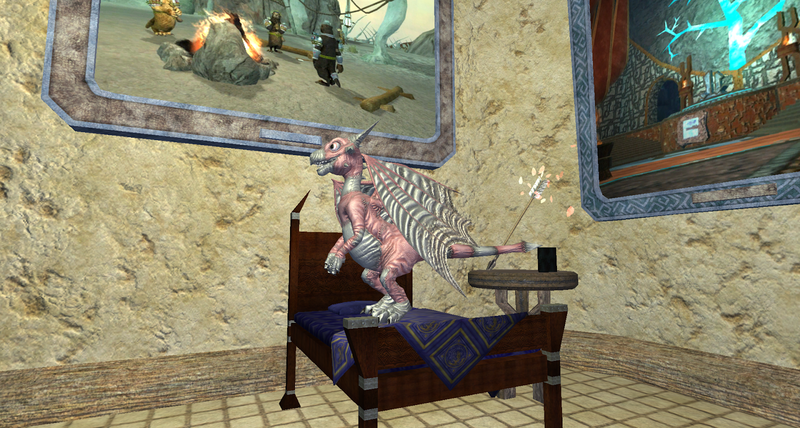 Erollisi Day is Norrath's analog of Valentine's. It's a relatively minor holiday in the Norrathian calendar. It brings with it nothing much more than ten repeatable quests, six one time only quests, ten achievements, nine books of crafting recipes, a collection, a race and two vendors selling holiday items of all kinds. Every year the developers add something new and occasionally they retire something old from the line-up. This year they added a short quest called You Don't Bring Me Flowers, which I did with my Berserker on the Skyfire server. It was simple and straightforward and it netted me a pink, patchwork baby dragon for my house. That was a reward worth considerably more to me than the small effort it required. I logged in my Shadowknight on the Time-Limited Expansion server, Stormhold with the intention of getting him a dragon too. I then found myself wrapped up in all the other entertainment on offer. I ended up taking him racing, doing the collect and completing several of the older holiday quests until eventually I ran out of time before I got around to the doing the thing I came for. I'll be going back again for the little pink dragon and I'll try to get it for several of my other characters as well. Before that, while I was there on my Berserker I noticed some calls for a Public Quest in Kylong Plains. I didn't know there was a KQPQ. 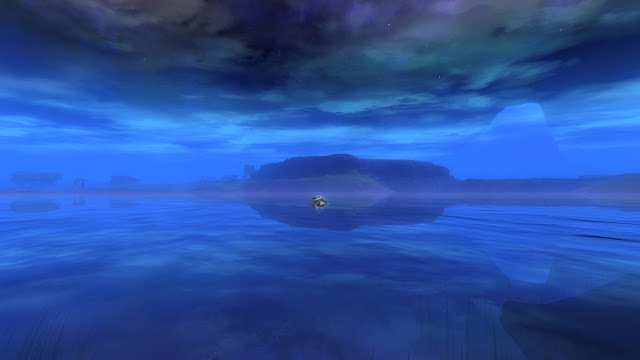 I traveled there by world bell, asked for a raid invite in chat, clicked on the window that popped up, flew to the spot on the map and joined in what turned out to be one of the best PQs I've seen in EQ2 and certainly the most visually appealing. All of this I did instead of what I'd expected to be doing, namely the new GW2 stuff that came with last week's update. I did it because it was fun, it was easy and it was inclusive. It was, in fact, the very antithesis of "preparing to have fun rather than just having fun". 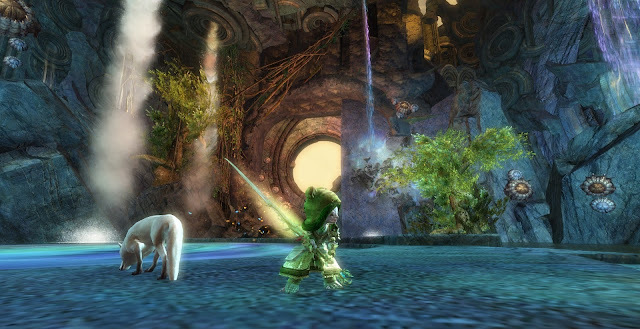 Those, by the way, are the three words I used to associate quite specifically with Guild Wars 2: fun, easy, inclusive. The addition of instanced raiding (now with even more elite "Challenge" mode!) and the tuning of more and more content, including both open world and solo instances, towards players able to demonstrate skill sets honed in and for a raid environment, seems to me to mitigate strongly against all of them. It's painfully ironic that it's GW2 that seems to be focused on adding elite content right at the time other MMOs are tearing it down. For a game that Mike O'Brien promised wasn't about to "fall into the traps of traditional MMORPGs" it seems to be making a pretty good fist right now of jumping feet first into the very same traps those traditional MMOs finally escaped. 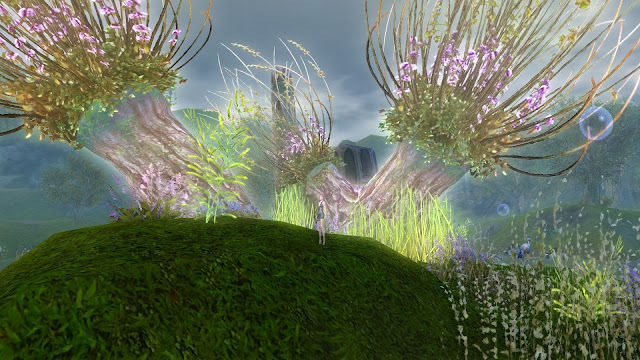 What is there to say about the fourth installment of GW2's third Living Story season? I've been pondering that question for a few days and I'm not sure I have much in the way of an answer but the phrase "More of the Same" keeps pushing itself to the front of my thoughts. I share a considerable frustration and discontent with Jeromai, who's posted several times on the update already, over the general direction and approach the game is taking. There was a brief period following the sudden departure of Colin Johanson, when it seemed GW2 might be returning to the inclusive, casual-friendly, supposedly mold-breaking tenets of the now-infamous Manifesto, but those days proved to be short-lived. GW2 in 2017 is primarily a game of instances. The original concept of a sprawling open-world game in which "you can just naturally play with all the people around you" is long dead. Or, rather, part of it is entirely dead, fenced off in Raid instances accessed only by the typical self-appointed "elite" that clusters in the velvet-roped curated spaces of every theme-park MMO, while much of the rest is on life-support, sustained by the artificial stimulus of map-specific currencies and daily rewards. Jennah's first dome: created without explanation and later expanded without explanation to cover the entire city. I want to play that Mesmer. Indeed, each of the new supposedly "open-world" maps added with the four chapters of the current Living Story might as well be instances. An ANet developer was reported recently as saying that open-world maps in GW2 represent historical periods rather than the current timeline, something that is self-evident yet rarely acknowledged. With these maps, tied as they are to a fixed narrative, all of which plays out in personal instances, that has never been more obvious. The thrilling promo video for "Head of the Snake" led many to hope, some to fear and a few to assume that Divinity's Reach might be due for the treatment previously meted out to Lion's Arch. A re-run of Scarlet's assault on the pirate city seemed altogether too much to hope for and indeed so it proved. At risk of spoilers, although it's apparent from the screenshot at the top of the post, which is the view of the Human capital as seen from Lake Doric, the walls of Divinity's Reach do not fall. In fact, contrary to the evidence of that video and the in-game cut scenes, they don't appear to suffer any significant damage whatsoever. When Scarlet was rampaging across Tyria, pulling godlike ex-machina plot devices from her seemingly bottomless bag of tricks, she was roundly condemned as a Mary Sue of the worst possible stripe. That assessment was, I always felt, tempered somewhat by the later discovery that she was the catspaw of an actual, quasi-godlike entity, the elder dragon Mordremoth. Who, then, perhaps we should be asking ourselves, stands behind Queen Jennah's newly-acquired, miraculous powers? How is it that this former poster-girl for hapless, helpless love interest, the Penelope Pitstop of Kryta whose plaintive calls for help caused Logan Thackeray to abandon Snaff to his death, collapse all hope of defeating the crystal dragon Kralkatorrik and bring to a chaotic and acrimonious end the dragon-slaying guild Destiny's Edge, can suddenly cause instant death with a flick of her wrist and raise and maintain an impenetrable dome across an entire city at a moment's notice? It may be that, as with Scarlet, there is at least a semi-coherent explanation but if so it remains, like the influence of Mordremoth, at best dimly sensed and obscure. Or it could just be bloody awful plotting. Either way, we are not getting a two or three month long version of The Battle for Lion's Arch. We're getting a permanent map that forever records the short few hours of Minister Caudecus's futile revolution. Let me talk to him, Your Majesty. I'm fluent in the universal language of quest-markers. Kind of a living tableau rather than a Living World. Disappointing. Unambitious. Tame. Also practical and apparently very popular if both the current buzz in map chat and the outpourings of praise on the forums are any guide. The sad and inevitable conclusion seems to be that not enough people wanted the vision of that manifesto. As we have discussed many times, the distance between what people claim they want and what they actually want is like interstellar space. I have a worrying feeling that had ANet chosen to make their sequel to GW2 something that followed rather than broke with the existing MMO conventions of it's time then it might have become the closest thing to the fabled "WoW-killer" the genre has seen. It could have been FFXIV: A Realm Revisited a year earlier in other words. Backwards into the future? Here's hoping. They did not choose that path and they have paid the penalty. They made a game that wasn't quite what their market segment wanted and when they shifted to accommodate those expectations the market itself changed away from them. If someone in ANet towers is drafting a design doc for GW3 right now I imagine the words "survival" and "sandbox" are somewhere prominent. We are, as they say, where we are. Not only is there no hint of a GW3 (and since the official position is that GW2 will run as the company's primary product indefinitely that's not a hint we're likely to be given for a long time yet) there's still no official news or even announcement of the second expansion. What we have are these increasingly formulaic assertions of "content" that arrive under the flag of the Living Story. It's not nothing. It is, arguably, an improvement on Living Story 2, although I struggle to recall, without going to look it up, what actually happened in that season. If only all of Kryta looked like this. The new map is a fair size and quite interesting. The events are, perhaps, less rigidly organized than Bitterfrost or Ember Bay. There is, to some slight extent, a more organic, unpredictable pace. The art department, ANet's one indisputable star asset, has done its usual, expected best but this is Kryta they've been given to work with and there's only so much you can do with scrub grass and dirt. Not to mention there's a war going on. The promised challenging, group-oriented "leather farm" (oh, the mental pictures that conjures...) turns out to be a big hill with hundreds of fast-spawning centaurs. As Jeromai reports it benefits from a full zerg rather than a mere "group" but since what's farmed turns out to be almost entirely the wrong kind of leather, whether zergs will be easy to come by seems less than certain. Anybody fancy the Leather Farm? Guys? Please don't report me! As for the story, the usual fear of spoilers prevents me from going into too much detail. Suffice it to say that if Queen Jennah is not being mind-controlled and if Countess Anise is not revealed to be a major villain at some point then we as players are effectively being asked not just to condone but to endorse fascism. It's a queasy scenario. I hope the writers know what they are doing. The story arc of the chapter, something most players take to be intended as solo content, ends with one of ANet's trademark annoying, pointless, attritional boss fights. These are always inappropriate to the context but we are all by now inured to them. This one, however, was so execrably tuned that forum outrage erupted (again) and a very swift and quite severe nerf to difficulty followed. I completed it on the first attempt under the original difficulty. This is not any indication of my skill as a player. I happened to be doing it on my heal-specced Druid and I simply bored the Boss to death. Even so I died about half a dozen times. Mrs Bhagpuss, on hearing about it, declined even to attempt it and now hasn't logged in to the game for three days. There were plenty of things I enjoyed. Some of the dialog and cut scenes were above par. Countess Anise infuriates me so much that I literally shout at the screen when she's on. That has to count as successful writing or voice acting or both. Canach has become one of my favorite NPCs. I laughed out loud several times at his snide, drawling sarcasms. There were also plot developments that surprised and intrigued. I do think that trying to tell a coherent narrative in this extenuated, disparate fashion would challenge even the best of writers and video games do not generally attract the best of writers or, probably, the second or third best. Still, they are making a fist of it and I remain involved. But then I'm a sucker for meta-textuality. Mechanically there was one worthwhile innovation. At various points there are interactive objects or even creatures that respond only to one class. I spotted a turret only engineers could use and my druid was able to tame an attacking mob mid-fight and turn it on its trainer. That was oddly satisfying. Also of note is the addition of vendor-purchasable paintings and furniture that can be placed in Guild Halls. Our tiny guild has no guild hall (although the large WvW guild I'm also in does) so the reason for the excitement this awoke in me when I happened upon it isn't perhaps obvious. You really want that thing in your personal instance? I'm calling it here: this is laying the foundation for some kind of personal housing in the expansion. As is the otherwise incomprehensible obsession with cats. There are a couple of new ones in the update - a ghostly one in Lake Doric and a very odd, bloodstone-tainted example in Caudecus's Manor. If these aren't future housing systems undergoing live testing then Anet are even more inscrutable than I imagine. In summary, then, "Head of the Snake" is not by any means a bad update. It's adequate; satisfactory, even. Had it been the first chapter of this season I imagine I would be almost fulsome in my praise. The problem is one of diminishing returns. Having found a format that the playerbase appears to deem more acceptable than either the open-world sprawl and bi-monthly cadence of LS1 or the shut-down, buttoned-up isolation of LS2, ANet unsurprisingly seem keen to play it for all it's worth. I'm just not sure how much that is or how long the goodwill can be sustained before the inevitable ennui takes over once again.